PUERTO VALLARTA, Mexico — The recent introduction of Class 6 and Class 8 cabover models to the Mexican market is a key part of Daimler Trucks Mexico’s strategy in its home market, and a competitive response to the segment’s growth in the country, the company’s president said. Against that backdrop, Daimler on Nov. 14 introduced its Freightliner brand’s 1217 Class 6 and 2528 Class 8 models to Mexico, trucks that Rivera said are positioned to bolster the brand’s presence in the country while not taking away from its other offerings there, particularly Freightliner’s M2 model. 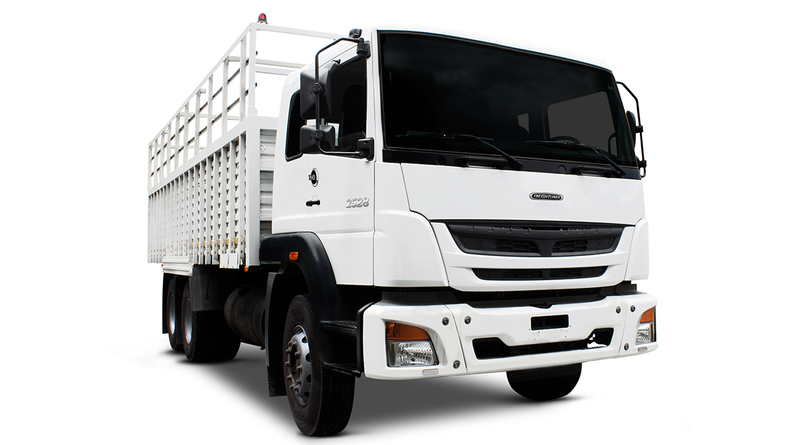 With the 1217, Rivera said Daimler is taking aim at products from Isuzu, Hino, International and Foton, all of which offer Class 6 cabovers in Mexico. In Class 8, the 2528 also faces competition from Hino and International, in addition to a COE offering from Volkswagen. What we are doing is working with customers and teaching them about real cost of operations — how this product is going to be productive most of the time, not just on the purchase price. These Freightliner cabovers are entering a domestic freight market that Rivera said is forecast to grow from an expected 552 metric tons in 2017 to 593 million in 2018 and 608 million by 2020, and which is currently dominated by trucks; Rivera said 80% of the freight delivered in the country is hauled by truck. Some of those trucks have been in service for a while; according to Rivera, Daimler forecasts that the average truck on Mexican roads is 18 years old. “Renewing trucks is not an easy task in our country,” he said, noting that financial considerations among the country’s traditionally cost-conscious buyers prevent more frequent replacement activity. With competitors entering the market with low-priced options, Rivera said that Daimler is making the case to customers that total cost of ownership must also be considered. Rivera noted that current government incentives do not do enough to help carriers defray the cost of new trucks. Given the combination of an aging nationwide fleet and expected growth in the freight market, Rivera told Transport Topics that the company is making the case to the Mexican government that a more generous slate of incentive programs could help Mexican carriers update their fleets. Those new trucks also will have cleaner-burning engines than those older models still on the road; starting in January 2019, Mexico will begin a phased-in adoption of Euro 5 emissions standards, bringing its trucks more in line with those sold elsewhere in the world. Some of the nation’s fueling infrastructure will need to catch up with availability of ultra-low sulfur diesel, but that work is ongoing, and Rivera expressed confidence that Mexico’s fueling stations will be ready when the phase-in begins. This move to cleaner global emissions standards coincides with the country’s economic relevance globally; it maintains 46 trade agreements with other countries and regions. And 6.3% of the country’s gross domestic product is tied to truck manufacturing alone. “It really is a significant player in our economy in Mexico,” he said. The country is the eighth-largest producer of trucks in the world, Rivera noted. But it is more than trucks driving the country’s projected growth in freight tonnage; manufacturing is big business across many industries in Mexico — Rivera cited electronics as an examples — and he expects that activity to keep the nation’s truck market thriving. “As long as that continues, we are going to have a close relationship with the truck market,” he said.